1. Hover the mouse cursor over the indicator name in the legend. Click on the name to open the drop down menu. 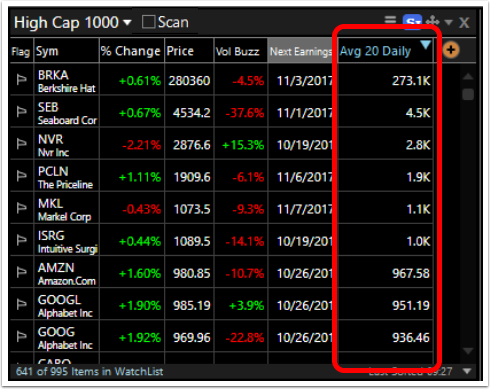 Any indicator value can be added to a WatchList from a plotted indicator. In this example, the 20-bar moving average is being used. The current value of that indicator will be added as a column in the WatchList. 3. 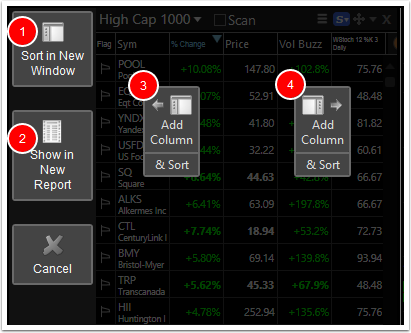 This opens "target mode"
The menus offer a number of options to apply the indicator value. Note: Add Column & Sort are 2 separate functions. 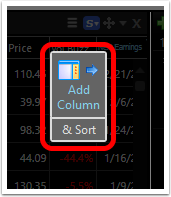 Highlight only the Add Column section of the box to simply add the indicator value as a column. 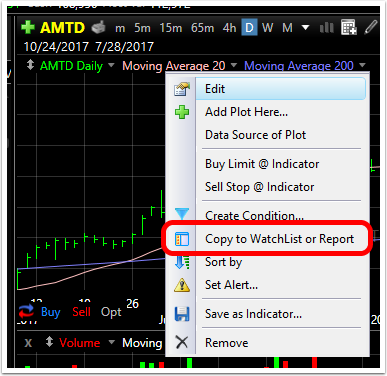 Make sure the white highlight covers BOTH the Add Column along with the & Sort boxes to sort the WatchList by the indicator value.